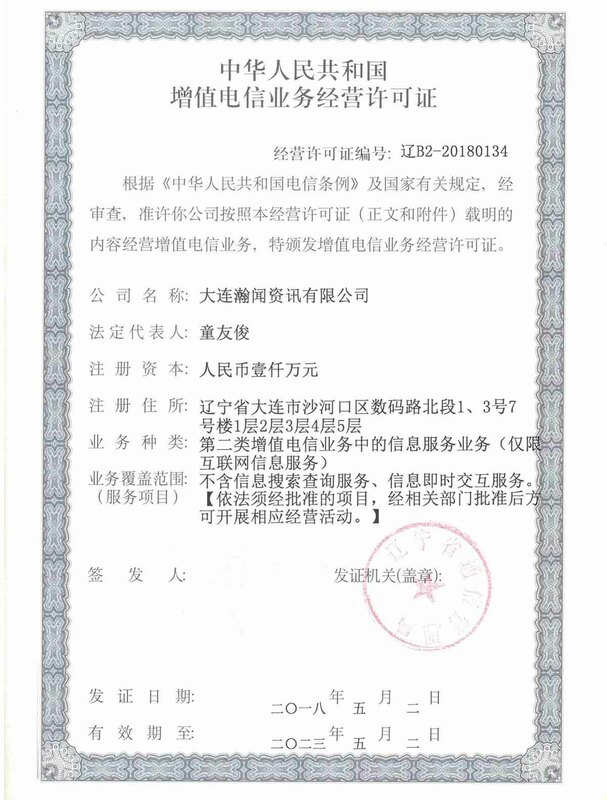 Copyright Notice © 2004-2019 Dalian Infobank Co.,Ltd. All rights reserved. 增值电信业务经营许可证 辽ICP备06014772号-1. 感谢您选择瀚闻资讯，我们的客户经理将会尽快与您联系，为您提供专业的服务。Thank you for contacting Dalian Infobank.We will respond as soon as possible.For urgent enquiries, please contact us via phone or email. You can continue to view after the purchase.